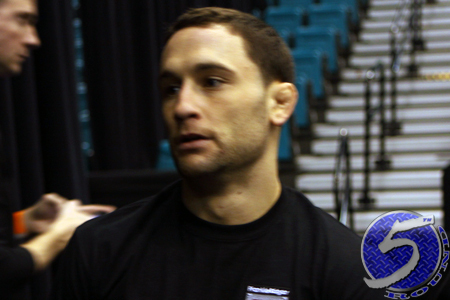 Unlike in their initial encounter, Frankie Edgar (Pictured) will enter Saturday’s rematch against Benson Henderson as an underdog. Edgar was a slight -125 odds-on favorite when they met at UFC 144 in February, but after watching Bendo strut his stuff against “The Answer,” the Gambling Gods have been forced to rethink things for their sequel. Henderson is nearly a 2-to-1 favorite to retain his title this weekend. Edgar, meanwhile, checks in just behind as a -155 underdog. “UFC 150: Henderson vs. Edgar II” takes place inside Pepsi Center in Denver, Colorado.